Are you an emerging company with high growth potential and looking for resources to take your business to the next level? Co:Lab is a business incubator targeting early-stage, high-growth companies to increase their chances of success by providing shared office space, services and consulting. Co:Lab acts as a catalyst to support innovative entrepreneurs who create jobs and can sustain long-term growth for Greater Pensacola. Co:Lab is a partnership between FloridaWest and Pensacola State College. Economic gardening is a philosophy that embraces strategies to grow existing businesses in a community and is the basis for the entrepreneurship programs at the Florida Economic Gardening Institute (GrowFL). FloridaWest has partnered with GrowFL to provide technical assistance and business resources to companies that have grown beyond the start-up phase and need access to information and decision-making tools that are typically only available to larger companies. The University of West Florida’s Small Business Development Center provides entrepreneurs with high quality, one-on-one consulting, management training and vital information they need to grow and prosper in a complex and competitive environment. Are you looking for educational opportunities and to network with other entrepreneurs? 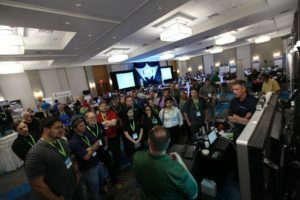 iTen Wired Summit: Connecting Innovation, Technology and Entrepreneurs is hosted by IT Gulf Coast and FloridaWest Economic Development Alliance. The conference includes topics on cybersecurity, tech makers, start-up tech, virtual environments, simulation and robotics. Expert presenters offer an excellent forum for professional development. ITEN WIRED is the Gulf Coast’s premier conference for executives, entrepreneurs, professionals, and educators working in technology. It is a great opportunity to exchange ideas and forge new collaborations around innovation, technology, and entrepreneurship. 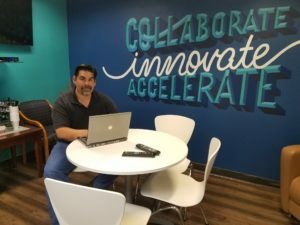 Innovation Coast is an alliance of technology and knowledge based companies in Northwest Florida. Its mission is to grow, sustain, and showcase the region’s successful, vibrant ecosystem of technology companies, professionals, and investment opportunities. Do you need access to capital funding or financing? The State of Florida created the Florida Opportunity Fund to invest in high-quality venture capital funds, businesses and infrastructure projects that will provide a lasting benefit to Florida. Investment programs include the Clean Energy Investment Program and the Fund of Funds and Venture Capital Programs for growth companies. The State of Florida’s Small Business Credit Initiative (SSBCI) leverages private capital for small business by providing access to debt and venture capital that may otherwise not be available.